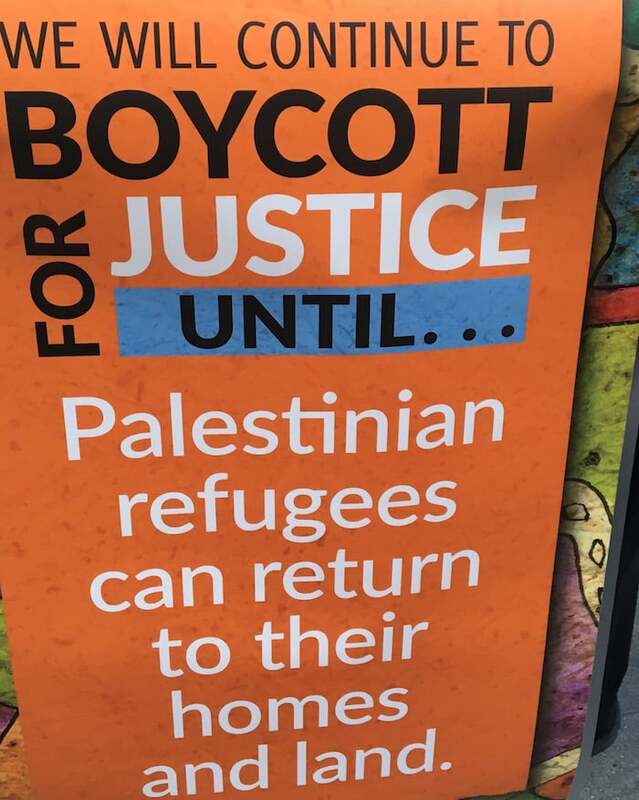 Sign reads: we will continue to boycott for justice until Palestinian refugees can return to their homes and land. The Israeli Law of Return provides every Jew with the right to become a citizen of Israel. In contrast, Palestinian refugees are not afforded their own right to return to their land.